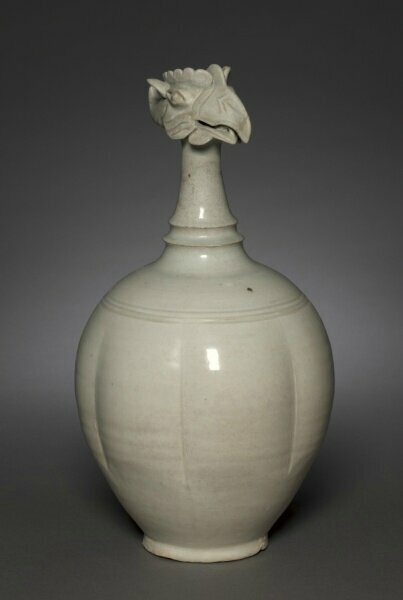 Phoenix-Headed Ewer, 1000s, China, possibly Guangdong province, Xicun, Northern Song dynasty (960-1127), porcelain with pale greenish-white glaze, Overall - h:38.70 cm (h:15 3/16 inches). Gift of Mr. and Mrs. Severance A. Millikin 1965.468, Cleveland Museum of Art © 2013 Cleveland Museum of Art.